We’ve received lots of nice feedback on this but also several feature requests which involve breaking changes. Be it the default escaping of metrics (the dash becoming an underscore), turning off additional meta data or a different tree schema. 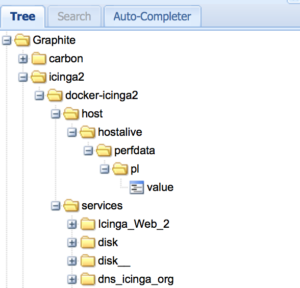 While working on a Graphite module for Icinga Web 2 we’ve evaluated all these changes and came to the conclusion that we need to change the Graphite tree and layout. Metrics are written as follows underneath the perfdata level. With enable_send_thresholds = true (default is false) Icinga 2 will add the following threshold values. Sending thresholds and meta data must be enabled as this additional data caused problems in the past in large scale environments. Time-series databases generally store metrics but no additional meta data as for example PNP4Nagios does to select specific templates for graph representation. PNP uses additional XML files generated on each update. We’ve come up with a solution for that by changing the host and service prefix and adding the CheckCommand for proper template selection by user interfaces. Furthermore, all services are located underneath “services” on the host to allow easier selection from the applications pulling the data from the Graphite Web API. The following characters are escaped with an underscore in prefix labels: whitespace, dots, /, \. Performance data labels won’t escape the dot allowing a more selective representation of multiple metric levels returned by the plugin. If your host or service name contains dots, they still will be escaped in order to forbid multiple tree levels and ensure that external applications may properly select the objects. Note: The legacy mode will be removed in future feature releases. 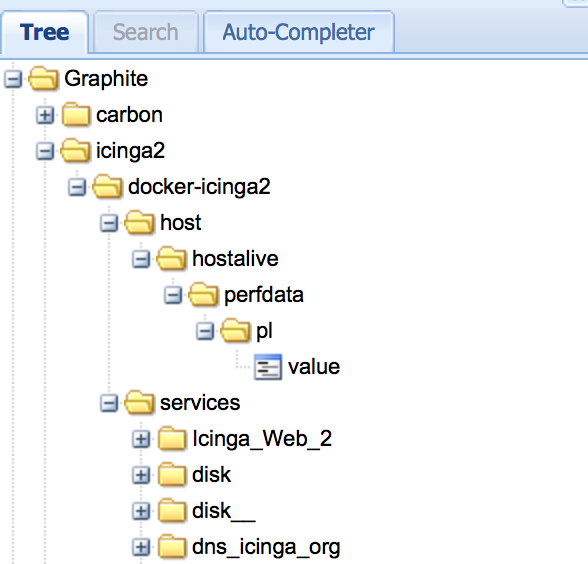 The easiest way is to use 2 Docker Containers: One for Graphite and icinga/icinga2. 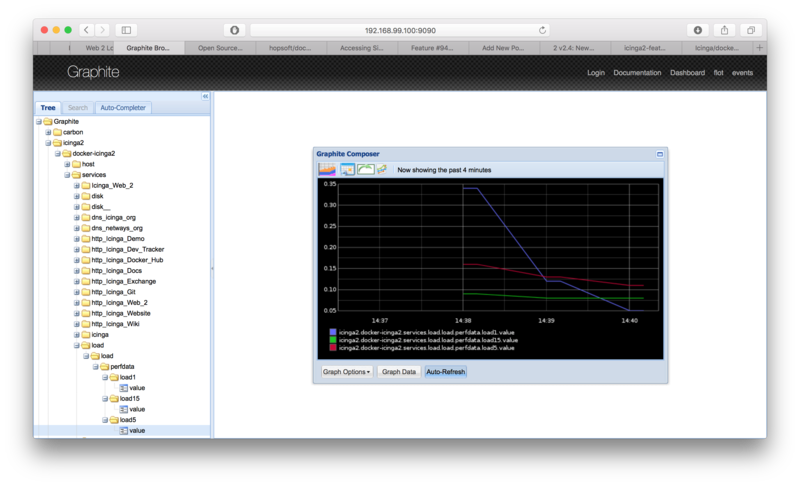 I’ve found docker-graphite-statsd which works like a charm also for Icinga 2 development tests. These two containers must be linked together in order to let Icinga 2 write to port 2003 and Graphite read from port 2003 in two different containers. graphite is the name of the previously started Graphite container. The following example uses the Docker IP address assigned on OSX (192.168.99.100). Adjust this for your needs where the Graphite Container is actually listening on.